“This is a structure that invites curiosity and inspiration. This is a structure where our children can build wonderful friendships,” said PS 34’s Principal Carmen Asselta. Parents, Participatory Budgeting, and PTA leadership were all thanked by all of the above for being part of making this project coming to life. The PS 34 Playground renovation’s idea phase of the Participatory Budgeting phase started in fall 2012, votes were then cast in spring 2013. Many mentioned that the project took a long time from design to completion: over 3 years. It was suggested that Participatory Budgeting doesn’t accelerate the progress of the city, and that completion time is dependent upon the type of project. STEM labs, for instance, seem to take less time to fulfill. 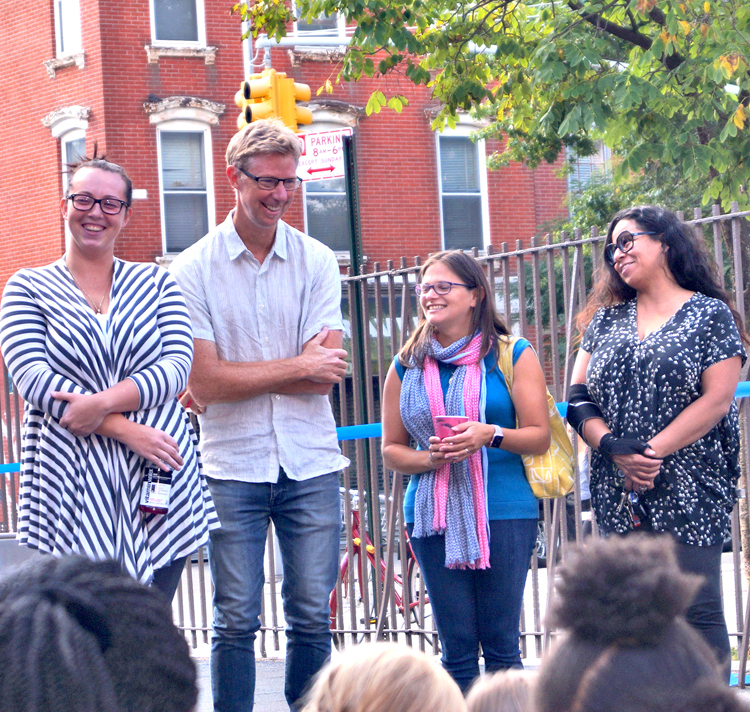 PTA Co-Presidents James Sheehan and Erica Rahevy said their active persistence helped to keep the urgency to finish the playground fresh in the minds of local representatives. Once the ribbon was cut, the children could hardly contain their joy! Yet they remained respectful of their teachers’ guidance when it came to waiting their turn to get on the playground. The fun-filled future this playground will offer is as bright and shiny as its brand new slide. 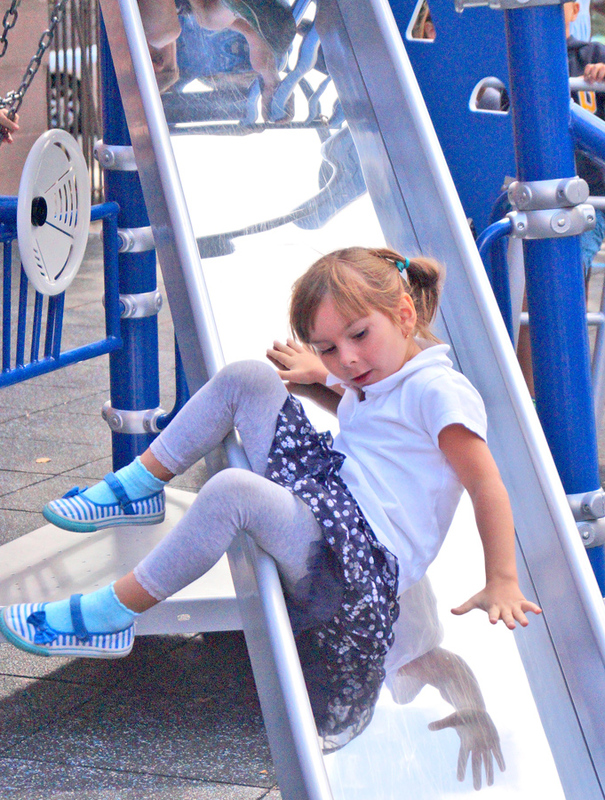 The PS 34 Community Playground is open to the public from 8am to dusk when school is not in session. Call 311 to report any incidents. Playground rules prevent swearing, glass bottles, chewing gum, smoking, metal cleats, vehicles, litter, or debris, illegal drugs or alcohol, BBQs or open fires, dogs or other animals, lawn or beach furniture, and unpermitted amplified sound. Prev Steady-on Is the Strategy to Save Center!